Thunder Bay’s version of Williamsport, Pa., descends at Port Arthur Stadium and Baseball Central Sept. 1-10. Like the Little League World Series that was decided Sunday, the under-18 version is expected to have a Japan team in the mix. The under-18 Japanese squad is ranked No. 1 in the world according to the World Baseball and Softball Confederation. 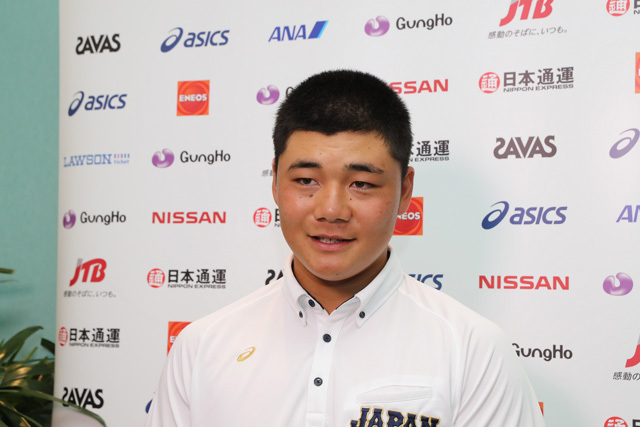 Star slugger Kotaro Kiyomiya, who holds the unofficial high school record (99 year history) of 109 homers over his career, is part of the contingent. Kiyomiya was on the 2012 club that won the LLWS with Japan. Kiyomiya was 5-foot-11, 180-pounds then. The 18-year-old — if he attends an American University in the fall — will qualify for the major league baseball draft in 2020 at age 21. Kiyomiya played in the 2015 World Cup in Osaka, Japan — the only player from that roster to suit up for this competition. Kiyomiya has been compared to Hideki Matsui and Sadahru Oh and has been dubbed the Japanese version of Babe Ruth. The media crush from Japan is expected to be huge, with an estimated 65 people covering the 28th edition of the event. Camera space will be at a premium as 13 units will be recording the action and transmitting it back to the homeland. But Japan is just one of twelve teams in the tournament. Joining them in Group B (rank), is the U.S. (2), Cuba (5), Mexico (6), Netherlands (9) and South Africa (29). Group A consists of Canada (10), Korea (3), Chinese Taipei (4), Australia (8), Italy (12) and Nicaragua (15). The United States have won the last three in-a-row in 2012, 2013 and 2015. “If you digest what’s happening at the Port Arthur Stadium in the first five days, your eyes bug out when you see the matchups that are happening,” said Philp. Because of the media setup, the second-ranked Americans are pushed to Baseball Central for four of their five games including a night game against Cuba on Sept. 5 that coincides with Canada’s game against Australia. “There are many games that are approaching sell-out status of the grandstand at Port Arthur Stadium and that’s 1,600 seats,” said Philp, who anticipates a bigger success in the 2017 Under-18 World Baseball Cup. Seventeen of the first 30 games are being broadcast. Friday’s 9:30 a.m. tilt (Japan vs. Mexico) will be seen in Japan at 10:30 p.m. owing to the 13-hour time difference.